This week some of the digital team took time out of their busy schedules to go to Rules of Engagement, a digital meet-up in Bristol. Alongside the obligatory pizza and beer were some great speakers (thanks for organising @shonette). UX dude @JoelStrohmeier opened our eyes on the merits of Inclusive Design, but it was @CaiBurton, from Freedom of Mind, who got us thinking about the impact social media has on our lives. 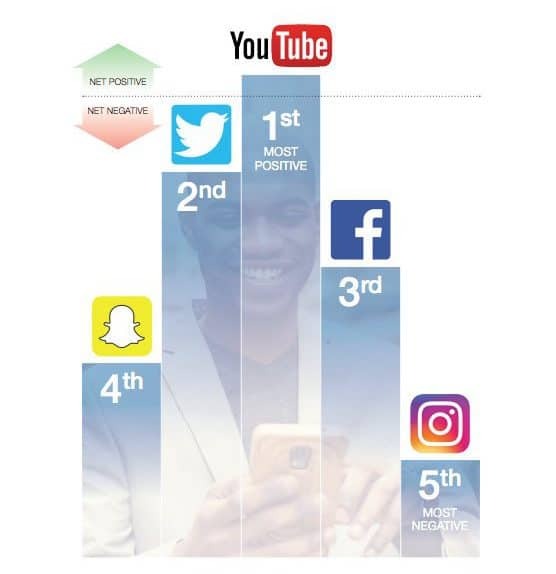 YouTube is the only social media channel ranked as having any kind of positive impact on young people’s lives. Instagram is languishing at the bottom, along with Kim Kardashian’s credibility after she started hawking appetite suppressant lollipops to her impressionable fan base. We had a brief discussion at the meet-up – why does YouTube rank highest? It’s definitely a space where people feel more comfortable being themselves – also, it’s a lot harder to pretend to be beautiful and amazing throughout a 20-minute vlog, compared with a single beach selfie. This serves as a great filter for making sure that the content we’re creating – for our clients and on our own channels – adds value to people’s lives. 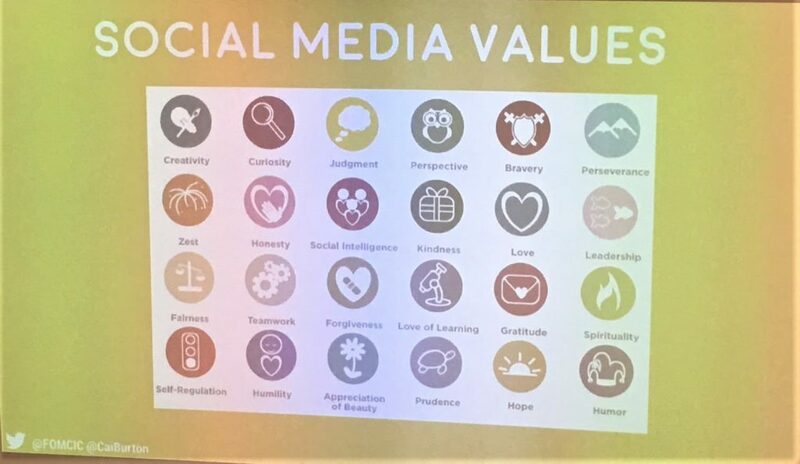 In an era when brands have to be socially responsible, social media should absolutely be part of that remit, and we are pledging to lead the way with our clients. This principle should also apply to the influencers we work with on behalf of our clients. Are they socially responsible? Do they care about their audience? Or are they just in it to sell stuff? More and more people are wising up to the cynical nature of some influencers and choosing to unfollow them if they don’t have something genuine to say. If they can’t make a connection with their audience, they’re not going to deliver any value for our clients. Ultimately, this all boils down to a simple concept we try to live by: do good things, with good people, and you can’t go far wrong.